Is it possible for a fat to be healthy? Why yes it is; in fact some fats are crazy good for you as long as they are in the right amounts. 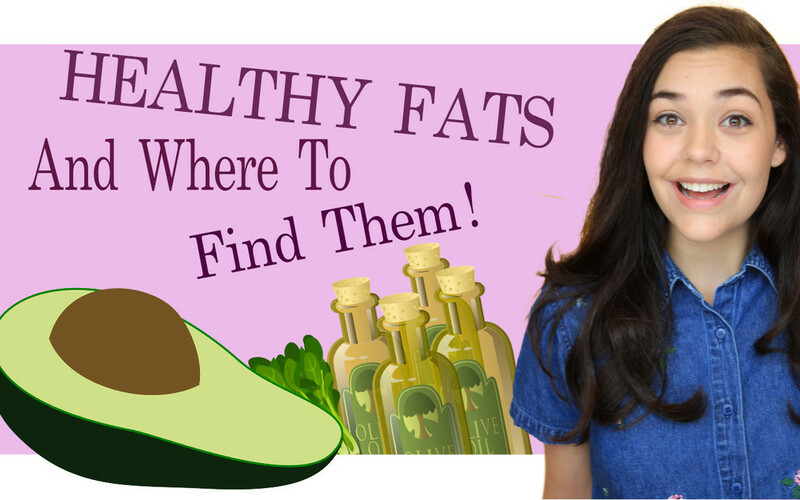 While Snack Company’s have stigmatized fat; certain fats are actually super good for you. No I'm not over here claiming ALL fat is good for you, because they aren't. However some fats can give you the boost that you need to get through your day. Lets look at the holy grail of the Internet health food scene, coconut oil! While yes it is a fat it is also super good for you. From skin, hair, body, and nutrition stand points. Adding a little bit of this to your coffee, or smoothie is the morning will give you a rad boost to help fuel your day. Olive oil is another good fat, although less loved online. While you don't want to drink the stuff a little bit on your salads, pasta, or soup will help your body absorb the nutrients better. I mean look at Italians they must be doing something right, after all they often look amazing! Avocado is a Cali favorite and for good reason! The stuff is magical! It is full of vitamins, and has more potassium than a banana. It also has protein and omegas! A half to a full avo a day can really make a difference in how you feel as well as how you look. Omega 3’s are one of THE MOST KICK BOOTY things you could do for your body, and your BOOTY! If you want it smaller, Omega 3’s! If you want to bigger and more toned, omega 3’s! This healthy fat is found in certain kinds of fish, like salmon or sardines, flaxseeds, chia seeds, spinach, Brussels sprouts, hemp seeds, and walnuts! You can also find Omega 3 supplements at the grocery store. However if buying supplements make sure they are reputable and that you are taking them at the right time of day and with the right food for them to absorb properly. Healthy fat consumption can actually aid in weight lose as is spikes the metabolism! On top of that; lets not forget that our brain need fat to function! We live in a "fat free world” where people save their fat consumption for their weekend donuts or burger, but really healthy fats on the daily will boost your mood, energy, and health. * DISCLAIMER – I do not have a nutritional degree, these are just the things I have read about and the food that makes me feel good. Everybody is different, listen to your body if you try these recipes. If you are a busy bee, then breakfast is more important then ever! A busy day calls for some healthy fats and brain feeding food. Here is my favorite breakfast for days when I know that eating won’t be a high enough priority. *A few 80% dark chocolate chips because who doesn’t want to start their day with a little chocolate! Because some days that breakfast just didn’t happen due to the fact you and your bed where having a moment, and by moment I mean you hit snooze 10 times and then flew out of the house like a wild thing. In that case getting some healthy fats in you for lunch or dinner is a big deal. I know that pizza looks tempting but it isn’t going to give your body something a really grab on to. Here is a recipe for just that meal, it only takes a few minutes and is so much better for your body then “emergency hunger level frozen food”. *Optional additions include, sunflower seeds for some crunch, salt, pepper, other seasonings. Simply cook your pasta, drain, and place in bowl. Next sauté the spinach and garlic in the now empty pot until spinach has shrunk but not yet turned to mush. Mix the spinach in with the pasta, and top with a generous drizzle of olive oil. Mix lightly in bowl while adding a squeeze of lemon, a touch of basil, and anything else that you may want in your pasta. Now eat up, it's good for you. Take care of your body so that it can take care of you!